Welcome to Mucklehus. 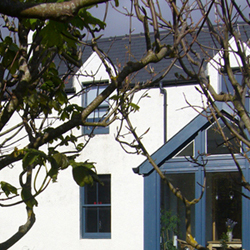 If you are seeking a peaceful, 'away from it all' location by the sea for a break, with unrestricted access to miles of coastal walks, this is the place for you. 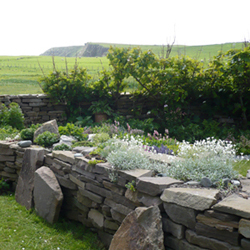 We offer high quality Bed and Breakfast accommodation in the small crofting community of Netherton, part of the village of Levenwick, in the South Mainland of the Shetland Islands. We are located half an hours drive south of the island’s capital and only town, Lerwick, and 15 minutes drive north of the airport at Sumburgh. 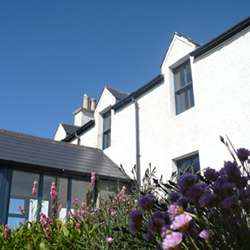 We are conveniently situated to explore the many beaches, spectacular coastline and rich heritage of the south of Shetland and also within easy reach of the rest of the Shetland mainland and the islands. Click here for a location map of Levenwick. Mucklehus is at Netherton. To translate this website into other languages please click here.